Not long after his bout with Conor McGregor, Floyd Mayweather has decided to venture into another sport and business. Instead of gloves and a boxing ring, the undisputed champion is picking up the poker cards and putting his face on a new play-money poker game called Wild Poker. For some, this might seem like a joke, but trust us, it isn’t. We all know that Floyd is a savvy businessman. He has amassed an enormous fortune, and not only by boxing. Floyd has nightclubs, drinks, merch, etc. to his name. However, as of now, he is also a part of an online poker game. So, what made him accept the offer? It seems that Floyd has sniffed the next big thing in the poker industry. However, there were many brand deals with huge sports stars that didn’t prove to be lucrative. So, we will have to see if Wild Poker is any different. 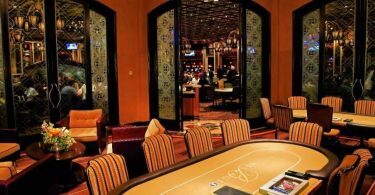 What is special about Wild Poker? Wild Poker is Playtrex’s take on the future of poker. Unfortunately, real money games are not available. Instead, you will play with play-money and you will be able to buy microtransactions to improve your character. As far as we can tell, Wild Poker is a mixture of traditional Texas Hold‘em gameplay with a couple of RPG elements added to it. You will be able to earn and buy all sorts of different RPG-like power-ups for your profile to help you in a certain situation. Additionally, you can play as many different characters, including Floyd Mayweather. I don’t know about you, but this sounds awfully familiar to me. We talked about PokerStars’ Power Up poker before, and they have powers and different characters to enhance the gameplay as well. 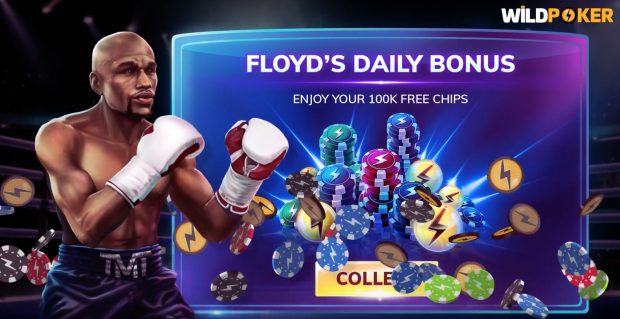 It looks like these two online poker websites will be competing directly with each other, so maybe the star power of Floyd Mayweather will help Wild Poker come out as the victor. I guess we will just have to wait and see.